There is a lot of confusion, the words hemp, weed and cannabis are too often misused. Most people think (wrongly) that they are all names for the same plant. Yet there is a lot of difference: with weed you will end up in prison and hemp is legal. Hemp, weed and cannabis are all words for the same plant species: Cannabis Sativa. The species was first described by Carl Linnaeus. He assumed at the time that there was only one variety of cannabis. We now know that there are three different subspecies: sativa, indica and ruderalis. Cannabis is therefore the right word for the plant species in all its facets. If you doubt whether you should talk about hemp or weed, the word cannabis is always a good way out. This applies to all variations: cannabis product, cannabis leaves, cannabis resin, cannabis flowers and so on. Weed is a word for the female flowers of the cannabis plant. You can buy it in coffee shops where they sell more than just coffee, or sometimes at a dealer who doesn't sell coffee. Dutch coffee shops have been searching for the tastiest weed to smoking for decades. The best weed generally contains a lot of THC. If you take in a lot of that substance you get stoned. Cannabis growers try to grow cannabis plants with as much THC as possible. Dutch cannabis growers have bred their varieties for decades. Plants with the best properties were crossed with other plants that did very well. A breed that has been bred in the Netherlands is called Nederwiet. There are a few half-official requirements: the variety must have been grown in the Netherlands for at least three generations. Every time the best individuals have to be selected, which are then crossbred again. Hemp is a word for cannabis plants that serve industrial purposes. You can make everything from hemp: rope, jute, cattle feed, insulation material, medicines and so on. 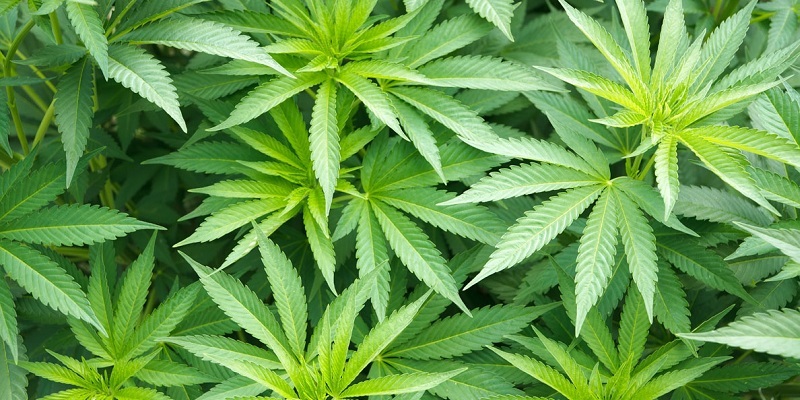 The cannabis plant has hundreds of possible applications. That is why about 6000 hectares of hemp is grow in the north of the Netherlands. Farmers mainly use hemp as a cheap alternative to imported cattle feed. THC plays an important role in cannabis varieties. But hemp farmers - unlike weed growers - do not want THC in their plants. Because the hemp varieties farmers use contain so few psychoactive substances, the government doesn't make a big deal about these hempfields. There is a lot of confusion in the Netherlands because the above terms are used incorrectly. The Dutch government uses its own definition of the word hemp. The Opium Act says that hemp is "every part of the plant of the genus is cannabis". But that definition makes it very confusing, of course. You no longer know what people mean when they talk about hemp. Fortunately, the government makes a distinction between legal and illegal hemp. Because everyone understands that farmers do not belong in prison. That's why they came up with a new word for legal cannabis plants: fiber hemp. The government assumes that industrial hemp is only suitable for extracting the fibers, which you can use to, for example, make rope. According to Dutch law, hemp 'which is intended for the production of fibers' is permitted. Even judges sometimes have trouble understanding the current legislation. Because people who make animal food or birdseed with cannabis do not, of course, need to be punished. But our law does not mention such applications anywhere. For the sake of convenience, the European Commission has drawn up a list of 63 hemp varieties that are suitable for industrial purposes. In this way farmers do not have to be afraid of the police and the police doesn't accidentally destroy entire fields with legal 'fiber hemp'.